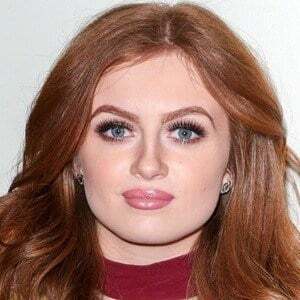 Actress who played the role of Tiffany Butcher in the BBC's EastEnders, and appeared as a young Elizabeth I in the film The Other Boleyn Girl. Her first on-screen appearance was in the film The Other Boleyn Girl. She appeared on CITV's show Bookaboo, where she read a story by Ian Whybrow. She lived in Essex with her parents, Stephen and Julia, and her sister Scarlett. She said in interviews she is a big fan of Dr. Who and its star David Tennant.